What a difference a week can make! Last week I was rockin' out to Dave Matthews. Last night I was singing along with Paul Brandt. The settings were as vastly different as the crowds. DMB played to a huge outdoor crowd, filled with dedicated fans wearing rain gear. 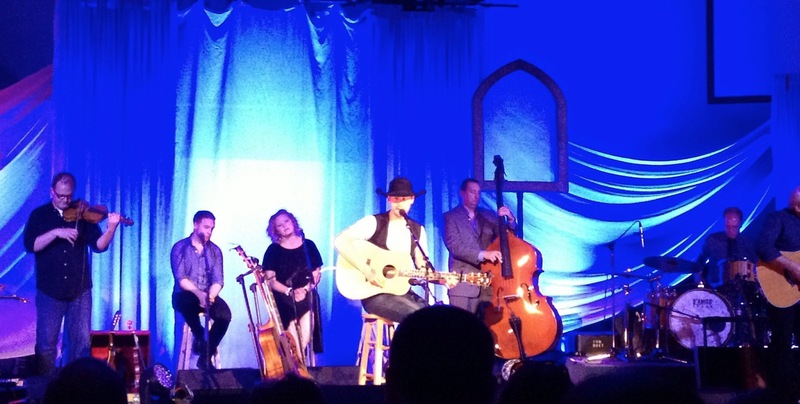 Paul Brandt played to an intimate gathering of people in a church. I have been to a lot of concerts in my day, but this one was one of my favourites. The "Just As I Am" tour is making its way across Canada and is made up of songs from Paul's recent CD of the same name. This album is filled with classic hymns that I grew up listening to/singing since I was a wee girl. Songs like When The Roll Is Called Up Yonder and It Is Well With My Soul. 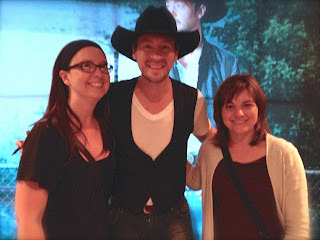 This concert combined my love of country music and Paul Brandt with the sentimental feelings stirred with such old classics. It was awesome. What really impressed me was the way Paul interacted with his fans at intermission. He signed autographs and took pictures with everyone that wanted them! He supplied his own sharpie and had someone there to take the picture for you. He asked your name and what you did and really made each person feel like he made a connection with them. Most people with the success that Paul has had would not have embarked on such a tour. His faith is really important to him and he laid it out there for everyone to see. I already had a lot of respect for this artist, but this just proved to me he's a real gem. Forget about Tommy Hunter, this is Canada's Country Gentleman.